Mel Bay’s latest series, Guitar Journals, is the ultimate reference guide of studies and solos in several different genres. Finally, there is a volume focused directly to “Rock Guitar”, which includes a wealth of exercises and tunes ideal for everyday use - perfect for the student to the professional musician wishing to have a wide range of rock examples to add to their repertoire. 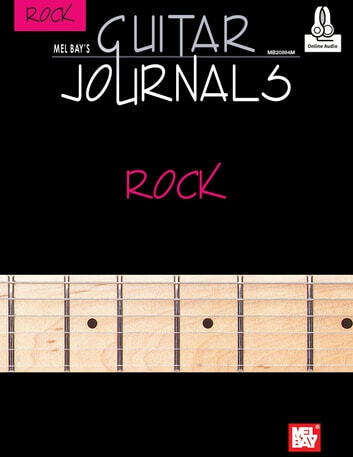 Rock rhythms, barre chords, scales, power chords, solos and much more are all covered; a must-have! All music in notation and tablature. Containing so much valuable information that you will treasure it for years to come! Comes with access to online audio.